Can you believe it's almost September? I tell ya, it's all down hill from here! Won't be long till we're singing Christmas songs! 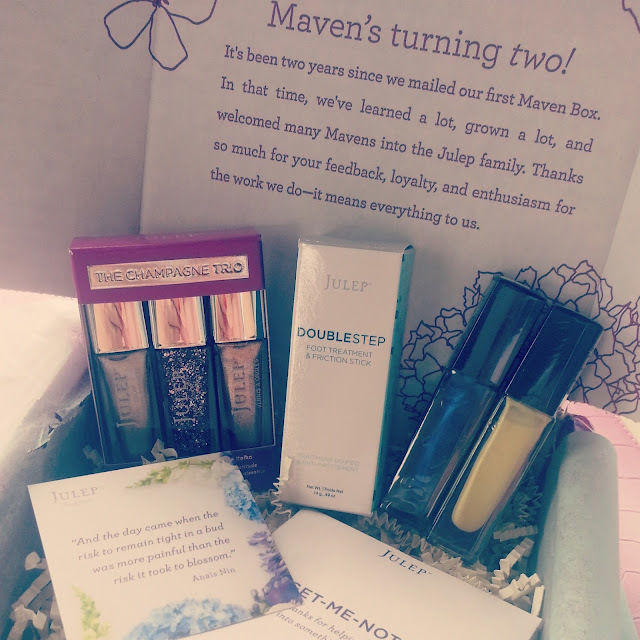 I about lost the chance to share my August beauty boxes!! Ok so I was a little disappointed with the selections. Since August is my birthday month I wanted to upgrade for the first time and get the entire collection. The theme was Garden Party. And seemed like I would be duplicating several of the colors. August also marked Julep's 2 year anniversary and I loved their Champagne Trio they did to celebrate. So I choose the box with a yellow since I don't have a yellow polish and added on the trio. The product is a creme treatment and friction stick called Double Step. And while my feet really need this I haven't used it much. Overall the trio more than made up for not getting to upgrade! That first color is Evie and is a raspberry creme with gold shimmer and the reason why I purchased! And the only thing that is duplicated is the lip scrub so I was very pleased! Mystery boxes are a total gamble so I don't always get them. Gotta pace myself on the polish!! Once again, thrilled with my Glam Bag!! I was holding my breathing in hopes of getting the Urban Decay lipstick! I got the color 69 which is a red. And let me just tell you, it's got some power! I got to have a day to myself one Friday and did some shopping and wore it and went to the Mac counter for the first time and I didn't know they'd let you try on lipstick and the Urban Decay was so hard to get off! The makeup artist had to put concealer and primer on my lips so I could have a good idea of what the lipstick she put on looked like! I really liked the formula of the Urban Decay....there will be more in my future! I'm not impressed with the Pixi mascara but that's ok, I layer my mascara anyway. 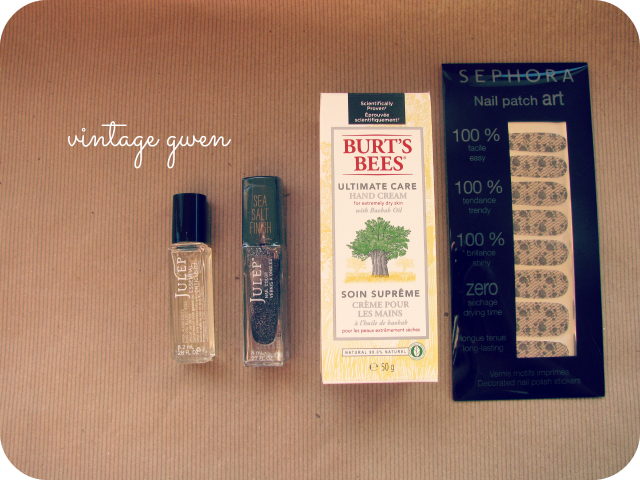 The bronze eyeshadow is lovely and the nail polish is a duplicate but went to my gift stash. Haven't tried the pumpkin mask yet. 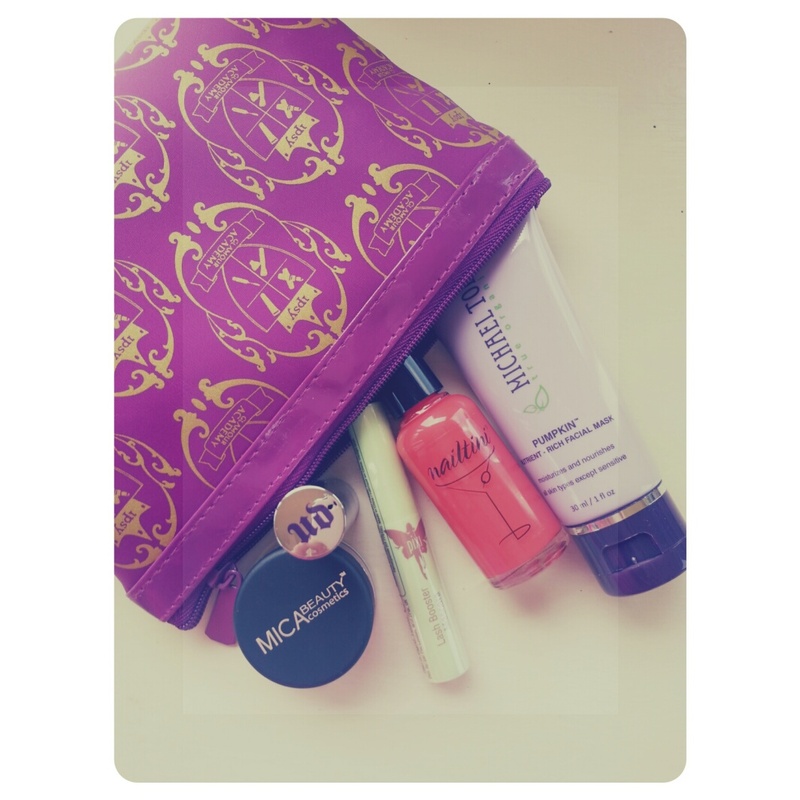 This month's Birchbox was just ok. Honestly I've only used 2 things so far. The moisturizer can be used as a primer which is how I will sample it. Then the Whish products....I really like the package....not sure how a deodorant swipe will work out for me! I've never tried anything like it before so I'm staying positive! I do love the Mally Beauty eyeliner in Sailor (navy blue). It goes good with my brown eyes! The uniqONE hair treatment I used as a finishing product on my ends after flat ironing. It worked good and I like how it smells. Overall, this box was good. Fun stuff! I'm excited for next month now! Want to sign up for these? Click below! Today I'm bringing some dino-love! I shared this easy art earlier this month at A Little Slice of Special and wanted to share today! Last December my family welcomed a new nephew and his nursery is decorated in dinosaurs! My sister in law asked for help with some decor and this is what I came up with! My nephew was born early...it was a little hairy him getting here...so I thought it would be special to use his big brother's hand print and make a dinosaur! And it was so easy! 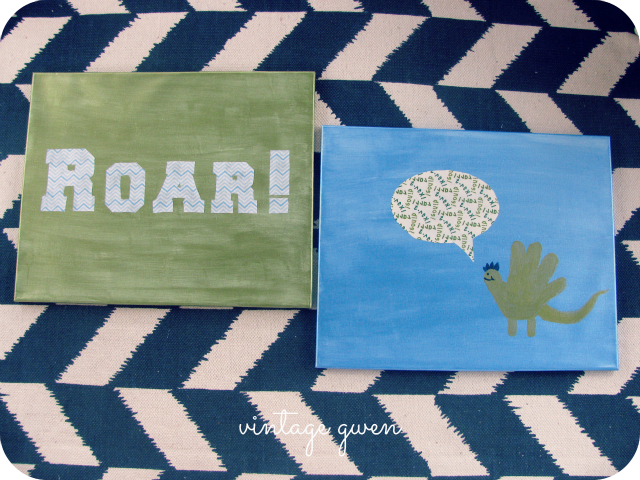 First I painted 2 16x20 canvases. One a metallic blue and one a metallic green and did 2 coats. 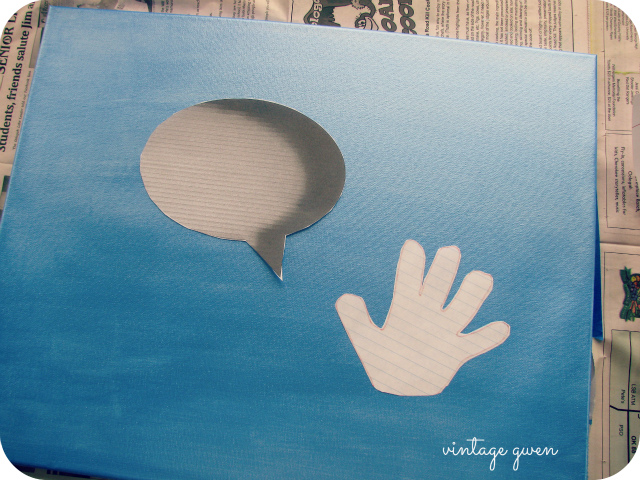 Next, I printed off a speech bubble using PicMonkey and cut it out and the hand print. Then I cut the speech bubble out of the word fabric and mod podged it in place. Next I traced the hand print and then painted it in and added feet, tail, eye, mouth, and 'hair'. Finally, I added mod podge on top of the speech bubble. And done! 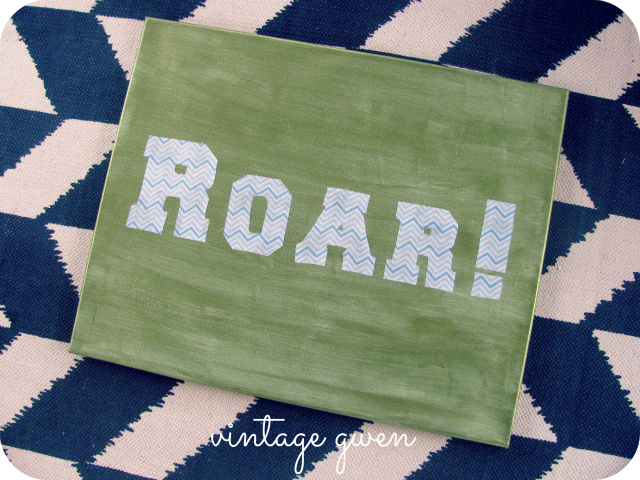 Moving on to the green canvas I simply printed off "Roar!" from my computer and then traced and cut it out of the blue chevron fabric and mod podged it on. 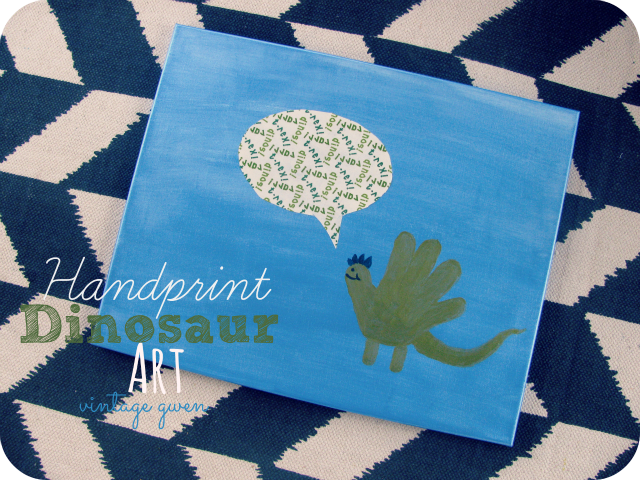 Custom, fun, easy, inexpensive nursery/kid art!! 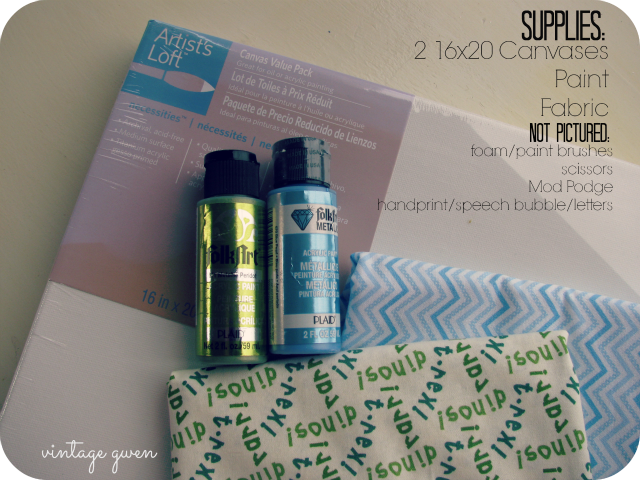 I'm excited to be sharing an update to my craft room at Today's Creative Blog! 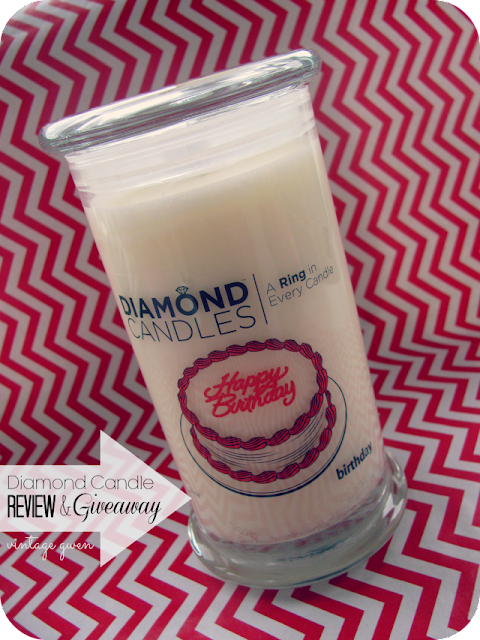 And have you entered my Diamond Candle Giveaway yet? Show & Share #107 with Features! Welcome to the party with features again! I'm so excited! First up the most viewed which is a tie!! Thanks to all for linking up!! Well school has been well underway here in my neck of the woods! I know some of you are starting this week! One more year for Lil' Hunkie, can't hardly believe it! 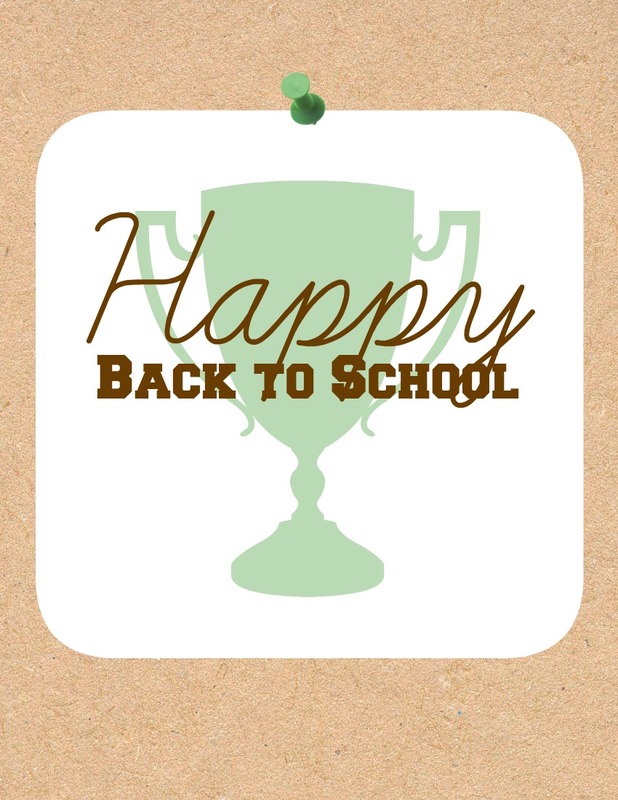 I'm so ready for what going back to school ushers in!.....cooler temps, football, pumpkins! Who's with me?! Here's a printable, my way of saying Happy Back to School!! So! I have another giveaway for you lovelies!! Ever heard of Diamond Candles before? I hadn't until they contacted me a couple weeks ago. What makes these soy candles unique is a ring on the inside in value of $10, $100, $1000 and even $5000! I chose Birthday Cake since it's my birthday month and man it smells so good! Good enough to eat! And I was pleasantly surprised at the size! Burn time is 140 hours! I did burn it about 2 days before I couldn't stand it any longer and fished out the ring! 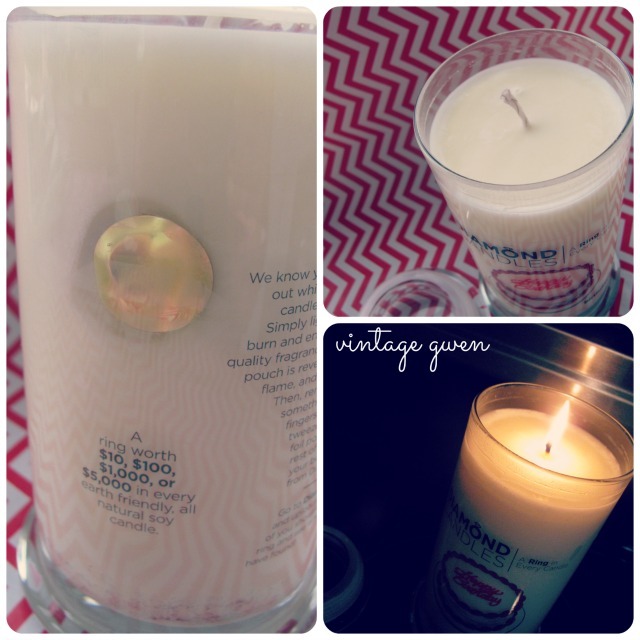 Did you know candles have a memory? Yep! If you want a candle to burn completely away then it must liquefy to the edges of the container and you must burn it that way every time. If you don't then it will 'remember' how much you burned it and not go past that edge(and produce a ring). Hope that makes sense! Yay for pink!! It is a little brighter pink in person. Love it! You can visit their Facebook Page to see more rings! One more thing I like about these candles is that they are made in the USA! Durham, North Carolina to be exact! And now, how about one for one of you!! Enter below! *I was given a candle to review. All opinions are 100% mine. Welcome to the party! I'm so excited you're here! Yesterday I mentioned there'd be a few things different with the party. Show & Share is your day to share you! Anything goes except for giveaways or Etsy shops! And I'm bringing features back! Starting next week I'll feature the most viewed link and then my favorite! I can't wait!! So thanks for being here! Link away! Do me a favor and go check out A Little Slice of Special! I'm guest posting there with something super cute and fun! Now, let's talk about Show & Share! 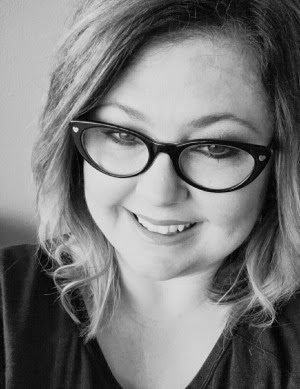 For those of you who don't know, the awesome Lindsay of Southern Lovely actually got Show & Share started and invited me to cohost with her a long time ago. Well she's decided to step away from the link party and was graciously ok with me continuing on. While I realize she carried most of the links, I know there's a good handful of you who link up from here. And so I wanted to continue the party not only for you faithfuls but to just keep the fun going! 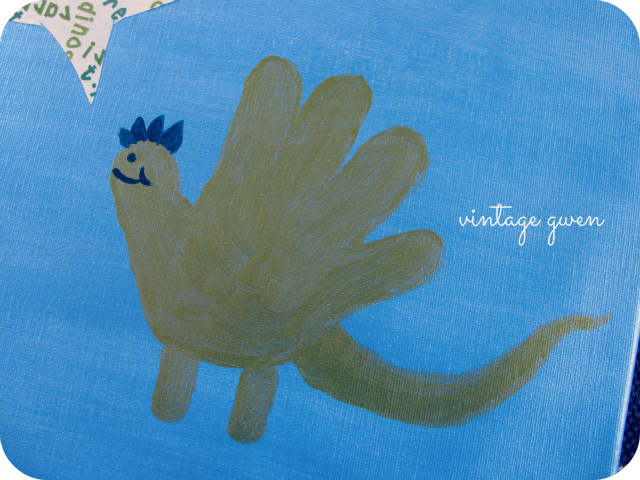 I try and make Vintage Gwen a place of inspiration and having a link party insures just that. Great ideas and great friendships come out of link parties. With that being said, I've made a few changes. Those still stand except please feel free to link up more than just crafty things, recipes, etc. Any kind of blog post (except giveaways or etsy shops) is welcomed!! Inspirational, beauty, fashion, mommy posts are all welcome! This is your day to Show & Share you! I will also be bringing back features! 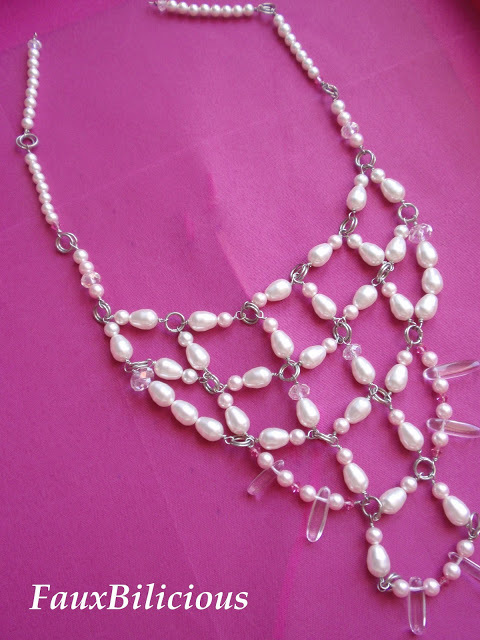 The top feature will go to the link with the most views and then I will be picking a favorite! Same day and time! So I hope you'll join me tomorrow at 8 am! Can't wait! Hope you're having a great week! It's back to school around here. Crazy to think Lil' Hunkie will go to preK this time next year!! Starting next week I will be the only host of Show & Share! Linsday at Southern Lovely has been so great to work with! So I'm going to keep the party going! Don't forget to enter my 3rd Annual August Bash Giveaway! Thanks for being here today! Happy Wednesday! 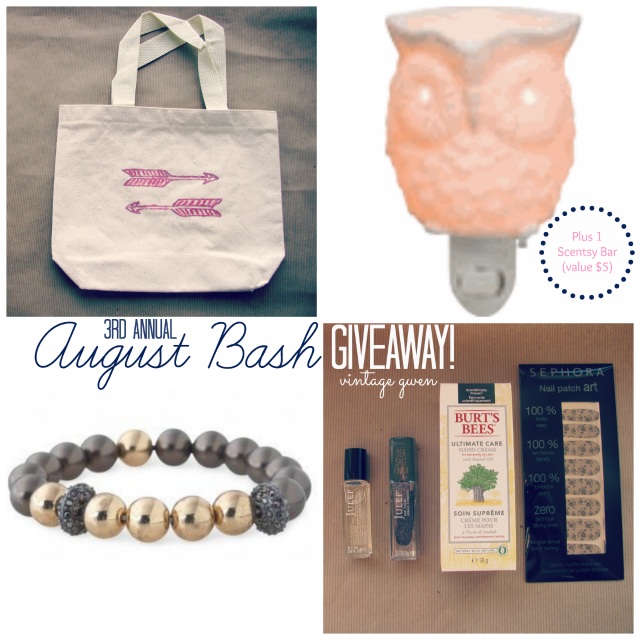 It's Time.... August Bash Giveaway! All week long I've been filling up my Bash Bag with goodies to give away to one of you in celebration of my birthday that was the 7th! Let's recap the goodies! Note: Whoot is not available for purchase until September. Once it's available I will send directly to winner. Thank you lovelies, for being awesome readers! I've got my final items going in my Bash Bag today! Sephora lacy Nail Patch Art! I'll recap tomorrow and it will be time to enter away!! Don't forget about the Firmoo giveaway ending tonight! So! So far I have the cutest Scentsy Plugin in my Bash Bag! The all new Whoot Plugin! Stella & Dot! 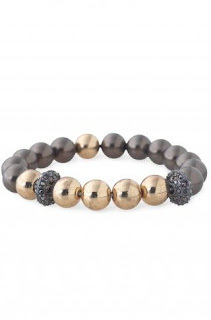 This time it's the Maisie Pearl Bracelet. 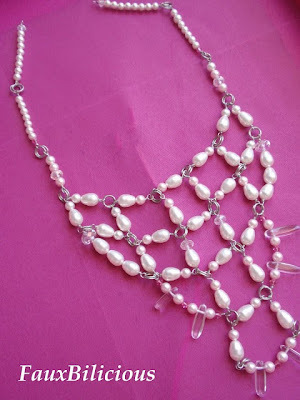 Can't go wrong with pearls!! Woohoo! Welcome to the party! August is turning out to be a fun month here! 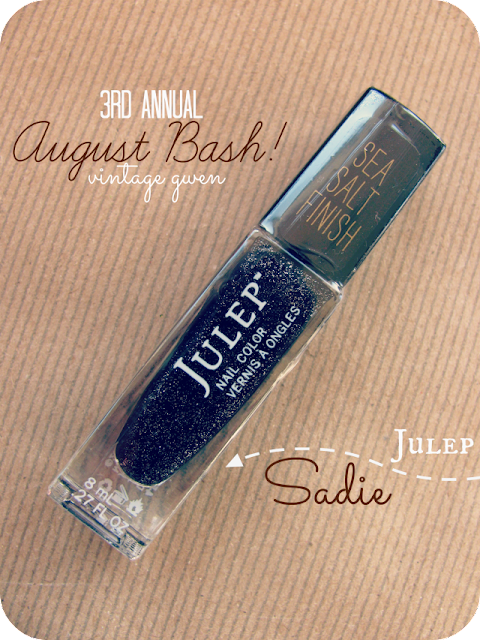 Besides the party fun today I want to share the first item going into my Bash Bag! Now this item isn't available for purchase until September 1 but I had to include it! Remember last year they came out with a full size warmer and now there's a plugin! So this and one bar (winner's choice of scent) is going in the Bash Bag!! Woohoo! I'm so trying to figure out where I could use one myself. Ha! Ok on to the party! And don't forget about my current giveaway! Firmoo glasses up for grabs! I'll be adding another item to my Bash Bag tomorrow! 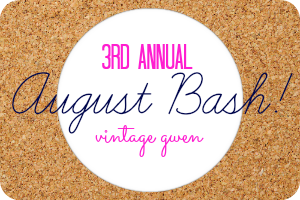 Welcome to my 3rd Annual August Bash! Tomorrow is the reason why I love August! It's my birthday! Which means I must share birthday goodness and have a bash! 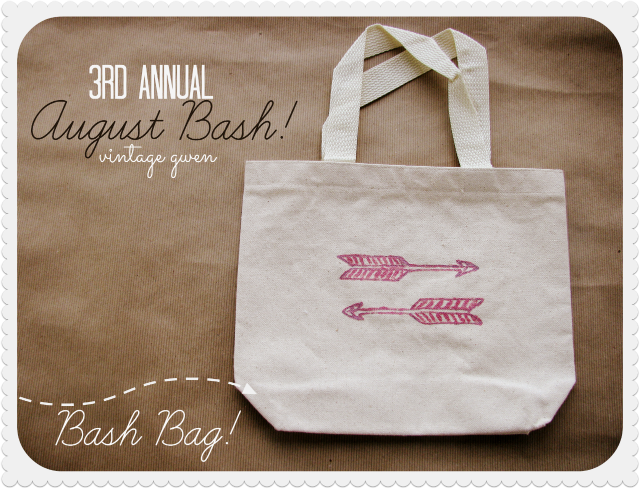 I've got my trusty Bash Bag that I will be filling up with goodies this week to giveaway to one of you! 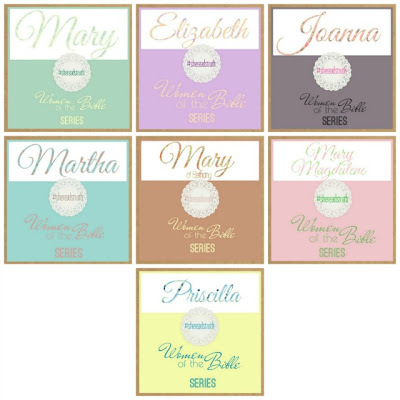 I know, I know...it's giveaway city here but hey they make blogging fun right? ..........just kept it simple with some arrows! All I did was print off an arrow in PicMonkey and then used an ink pen and went along the lines until I had a pretty good indention in the bag plus some pen marks and then finished tracing free hand along the indention. Hope that makes sense! Then I painted over the ink with pink paint! Each day of the rest of this week I'll share what's going in the bag and then on Saturday I'll recap and it'll be time to enter! One item isn't available to purchase until September 1st but I'm so excited about it that I still wanted to give one away! 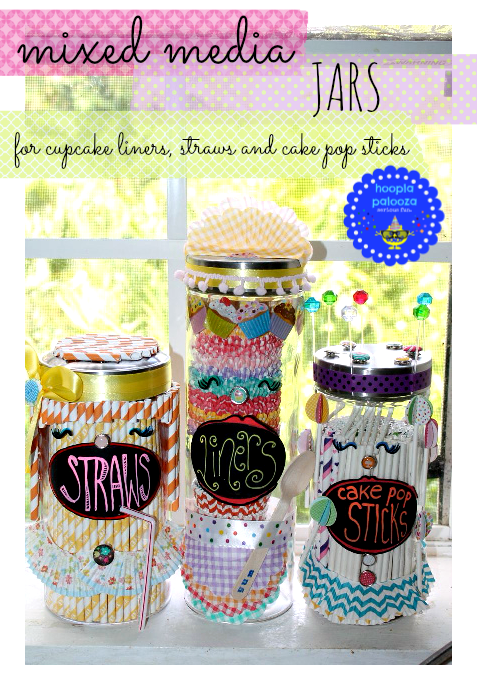 And don't forget I have a Firmoo Giveaway going on right now too! 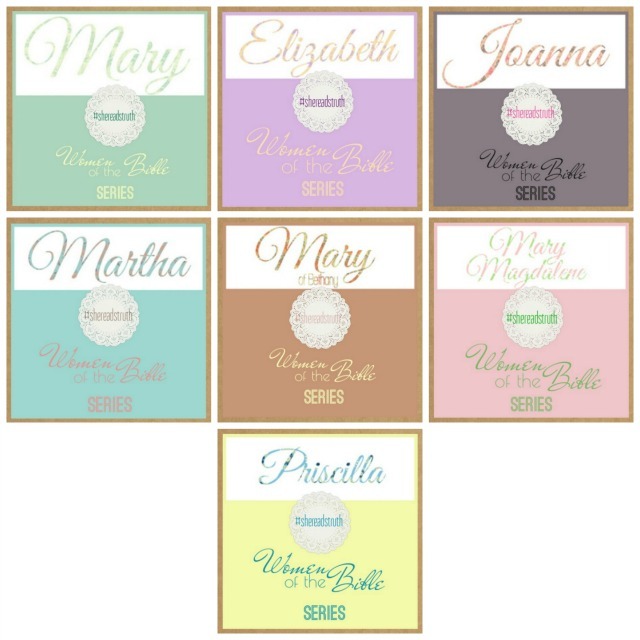 Just finished part 2 of She Reads Truth's Women of the Bible series. I loved it! Just like in part 1, I gleaned a common thread. That women are some of the best, devoted servants of the Lord. And no matter how much we have on our plates as long as we keep Him first we can accomplish much! I really want to encourage you today to join this community or at least make it a habit to do reading plans in the bible app. And I mean when you're done with one take a day or two if you need a break and then get right back in. It truly, truly makes a difference! And want to know an amazing thing? I felt the anointing of the Lord through Instagram! I had already been studying and didn't realize how much I was in the presence of the Lord when I shared my Mary Magdalene post that I read another lady's post on the same day of the plan and man what God spoke to her was so powerful it was all I could do hold the tears! That's what being in this community can do I tell ya! Nothing but beneficial! I'm not sure when the next SRT plan is up....in the next few days I'm positive....so get prepared...buy ya some pens and a journal if that's your thing.....and join me!! I'd love to interact with you on Instagram!